A police helicopter scoured the Horsham area last night (September 16) in a hunt for a missing man. Officers said he had travelled to Horsham - where he has family connections - and was spotted in a pub in North Heath Lane yesterday evening. 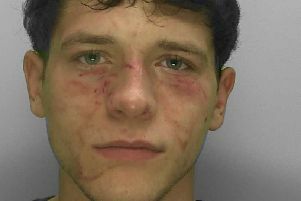 He was then spotted by police at about 10.30pm and ran off. Officers said he was found shortly before 1am at Horsham railway station.